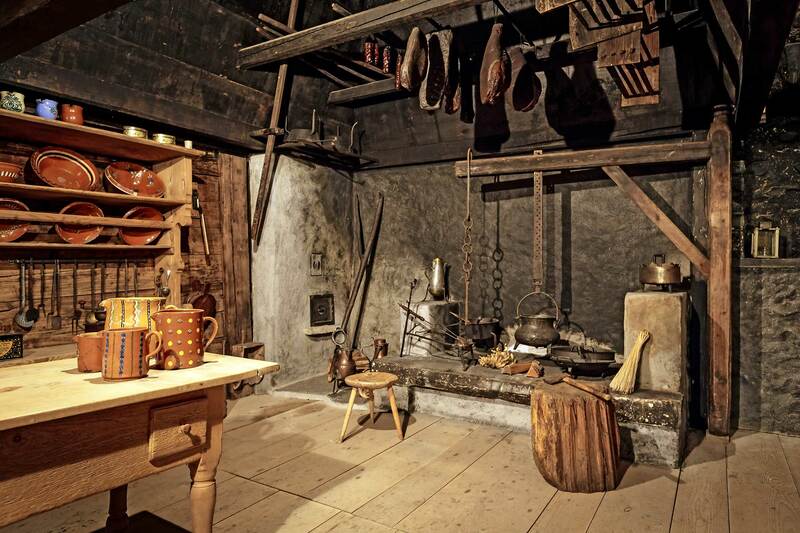 A typical farm kitchen of the 17th century may have looked like this. The stone-fire-base is dated 1647 and comes from a farmhouse in Scheidbach/Turbach. The open chimney („Chemi“)was already part of the museum building. Devices like the Goggemaa (from French Coquemar) as a hot water appliance and the Taterepfanne (from French poelle à tarte) testify the nearness of the French-speaking neighbours.